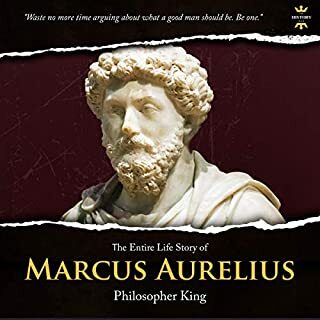 Marcus Aurelius was an outstanding person and Emperor of Ancient Rome. He was far more concerned with ways of thinking than with warfare. Being a small boy he applied himself to task with education. Marcus preferred others over himself, putting his own welfare aside for the good of other people. The book is a little bit difficult to follow because the text is written as a long series of short statements, which are often rather disparate in their subject matter. Rather than a flowing story or thought, you are provided with an onslaught of often very short sentiments of value, purpose, and wisdom. I enjoyed the book and found the concepts simple and straight forward to apply to every day life. At the risk of perverting or desecrating this great work, I think it would be valuable to have it converted in to one of those "inspirational quote of the day" flip calendars. Someone get on that! 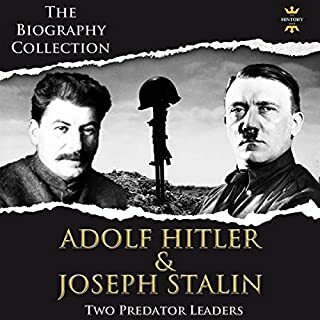 Narrated by: Jerry Beebe, Alexander G.
Discover the lives and poltical history of German politician and demagogue Adolf Hitler - leader of the Nazi Party, chancellor of Germany, and führer of Nazi Germany - and Joseph Stalin, dictator of the Soviet Union. I will keep this short & simple. I believe everyone should read Mein Kampf. And this edition, published by Midgård Records in the late 90s/early 00s is by far the greatest translation I've personally read. Michael adores his wife, Jeannie, with every inch of his soul. Kind, compassionate, beautiful, charming - they've been together for years, and he can’t imagine being with anyone but her. Until, of course, he coaxes a deeply hidden fantasy out of his sweet wife: that she longs to see him make love to another woman in front of her. Warm up your Winter night! Over a variety of time periods, and a wide variety of situations, this book is not one to read when you are needy already. Just saying.